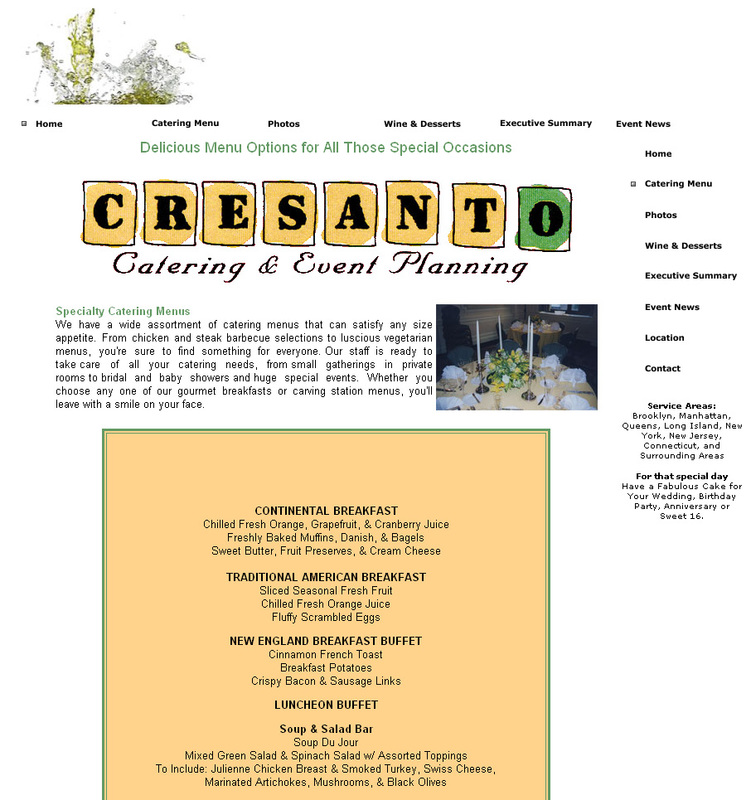 Cresanto Catering offers complete catering consultations for special events and so much more. From fine dining experiences to wedding planning, Chef Drummond provides his clients with superior service backed by more than 9 years of successful experience. When Chef Rohan Drummond came to us needing a complete visual and marketing makeover, he was struggling to overcome the burden of a poor website that not only didn't serve his needs, but was actually holding him back. We believe we created a gateway through which his potential clients could get a feel for his business, and see his talents at work. 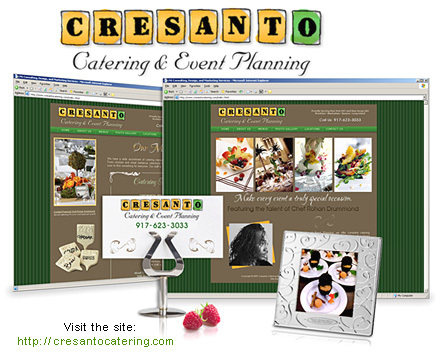 Here's a shot of the original Cresanto Catering website for comparison. Visit the new site to see the difference!